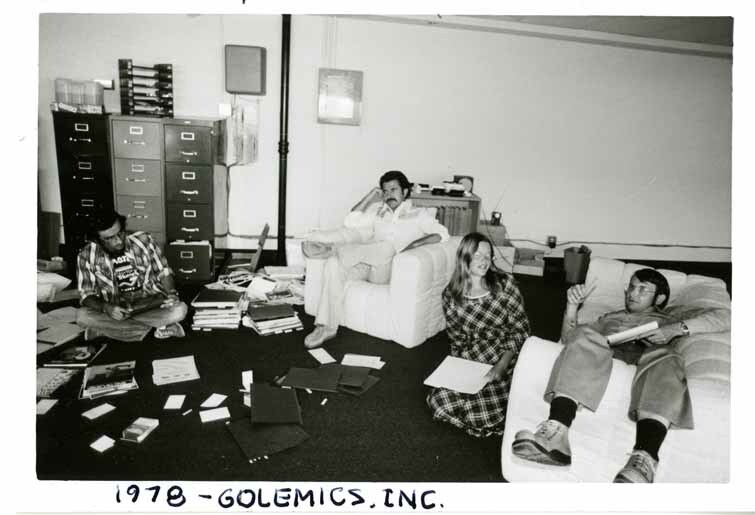 Black and white image of a large office with four people seated. Two are on the floor with notebooks spread in front of them. One man is seated in a white chair. Lee Felsenstein is in the right side of the image, laying on a couch with his feet drapped over the side of the couch with a notebook in his left hand and a pencil raised in his right hand.